Manuel I Comnenus (Μανουήλ Α' ο Κομνηνός) (November 28, 1118 – September 24, 1180), was a Byzantine Emperor of the 12th century AD who presided over a crucial turning point in the history of Byzantium and the Mediterranean. Eager to restore his empire to its past glories as the superpower of the Mediterranean world, Manuel pursued an energetic and ambitious foreign policy. In the process he made alliances with the Pope and the resurgent west, invaded Italy, successfully handled the passage of the dangerous Second Crusade through his empire, and established a Byzantine protectorate over the Crusader kingdoms of Outremer. Facing the Islamic jihad in the Holy Land, he made common cause with the Kingdom of Jerusalem and participated in a combined invasion of Fatimid Egypt. Manuel reshaped the political map of the Balkans and the east Mediterranean, placing the kingdoms of Hungary and Outremer under Byzantine hegemony and campaigning aggressively against his neighbours both in the west and in the east. However, towards the end of his reign Manuel's achievements in the east were compromised by an embarrassing defeat at Myriokephalon, which in large part resulted from his arrogance in attacking a well-defended Turkish position. The Latin historian William of Tyre described Manuel as "beloved of God... a great-souled man of incomparable energy", whose "memory will ever be held in benediction". 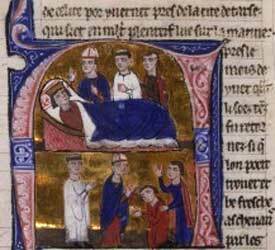 Manuel was further extolled by Robert of Clari as a "generous and worthy man". Such a good press among western writers was highly unusual for a Byzantine ruler, and this positive reputation has led some modern historians to view him as an inspired innovator who concentrated on cooperation rather than confrontation in his dealings with the crusaders and the west. Known as Megas ("the Great") in Byzantium, Manuel is known to have inspired intense loyalty in those who served him. He appears as the hero of a history written by his secretary, John Kinnamos, in which every virtue is attributed to him, ranging from bravery in battle to intellect, humanity and his proficiency in philosophy and even medicine. John Phokas, a soldier who fought in Manuel's army, described him some years later as the "world saving" and glorious emperor. Manuel was famous for his charisma and his love of the West, which led him to arrange jousting matches, even participating in them, an unusual and discomforting sight for the Byzantines. He is a representative of a new kind of Byzantine ruler who was influenced by the contact with the western crusaders. Endowed with a fine physique and great personal courage, during his long reign (1143-1180) Manuel devoted himself whole-heartedly to a military career. The Empire that Manuel inherited from his father had undergone great changes since its foundation by Constantine, eight centuries previously. The most obvious change had occurred in the seventh century: the soldiers of Islam had taken Egypt, Palestine and much of Syria away from the empire forever. They had then swept on westwards into what in the time of Constantine had been the western provinces of the Roman Empire, in North Africa and Spain. In the centuries since, the Emperors had ruled over a realm that largely consisted of Asia Minor in the east, and the Balkans in the west. Since the time of his predecessor Justinian (reigned 527-565), the Emperors had also ruled over parts of Italy. Yet the empire that Manuel inherited was a polity facing formidable challenges. At the end of the eleventh century, the Normans of Sicily had removed Italy from the control of the Byzantine Emperor. The Seljuk Turks had done the same in central Anatolia. And in the Levant, a new force had appeared - the Crusader states - who presented the Byzantine Empire with new challenges. Now, more than at any time for centuries, the task facing the Emperor was daunting indeed. The first test of Manuel's reign came in 1144, when he was faced with a demand by Raymond, Prince of Antioch for the cession of Cilician territories. However, later that year the crusader County of Edessa was engulfed by the tide of a resurgent Islamic jihad under Imad ad-Din Atabeg Zengi. With Raymond's eastern flank now dangerously exposed to this new threat, there seemed little option but to prepare for a humiliating visit to Constantinople. Raymond realised that immediate help from the west was out of the question, so swallowing his pride he made the journey north to ask for the protection of the Emperor. After submitting to Manuel, he was promised the support that he had requested, and his allegiance to Byzantium was secured. However, Manuel was prevented from following up his early successes in the east, for events to the west meant that his presence was urgently required in the Balkans. In 1147 he granted a passage through his dominions to two armies of the Second Crusade under Conrad III of Germany and Louis VII of France. At this time, there were still members of the Byzantine court who remembered the passage of the First Crusade. The Crusade was a defining event in the collective memory of the age and one which had fascinated Manuel's aunt, Anna Comnena, who describes some of the leaders of the Crusade in her Alexiad, a biography of her father, Manuel's grandfather Alexius I Comnenus. Many Byzantines feared the Crusade, and this view was encouraged by the numerous acts of vandalism and theft practiced by the unruly armies as they marched through Byzantine territory. Byzantine troops followed the Crusaders, attempting to police their behaviour, and further troops were assembled in Constantinople, ready to defend the capital against any acts of aggression. This cautious approach was well advised, but still the numerous outbreaks of overt or secret hostility between the Franks and the Greeks on their line of march, for which it seems both sides were to blame, nearly precipitated a conflict between Manuel and his guests. Wisely, by 1148 Manuel had secured an alliance with Conrad, whose sister-in-law Bertha of Sulzbach he had earlier married. But Conrad died in 1152, and, despite repeated attempts, Manuel could not reach an agreement with his successor, Frederick I Barbarossa. Yet Manuel's attention was to be drawn to Antioch again in 1156, this time as a result of an appalling atrocity: the new Prince of Antioch, Raynald of Chatillon, invaded the Byzantine province of Cyprus. Having ransacked the island and plundered all its wealth, his army mutilated the survivors before forcing them to buy back their flocks at exorbitant prices with what little they had left. The sack of the island involved scenes of such unimaginable cruelty, inhumanity and savagery, to an extent that the Saracens had never allowed, that many Byzantines wondered whether it was the Crusaders, not the Saracens, who were the real enemy. Thus enriched with enough booty to make Antioch wealthy for years, the invaders boarded their ships and set sail for home. The people of Cyprus, who had sent food to the starving Crusaders during the First Crusade, had been repaid for their kindness in blood. In 1147 Manuel was faced with war by Roger II of Sicily, whose fleet had captured the Byzantine island of Corfu and plundered the Greek towns. However, despite being distracted by a Cuman attack in the balkans, in 1148 Manuel enlisted the help of the Venetians, who quickly defeated Roger with their powerful fleet. In 1149 Manuel recovered Corfu and prepared to take the offensive against the Normans. Manuel sent Michael Palaeologus and John Ducas with Byzantine troops and large quantities of gold to invade Apulia (1155). The two generals were instructed to enlist the support of German emperor Frederick Barbarossa, since he was hostile to the Normans of Sicily and was south of the Alps at the time, but he declined because his demoralised army longed to get back north of the Alps as soon as possible. Nevertheless, with the help of disaffected local barons including Count Robert of Loritello, Manuel's expedition achieved astonishingly rapid progress as the whole of southern Italy rose up in rebellion against the Sicilian Crown. There followed a string of spectacular successes as numerous strongholds yielded either to force or the lure of gold. If there was ever a chance of reuniting the eastern and western churches, and reconciling the Pope permanently, this was probably the most favourable moment. The Papacy was never on good terms with the Normans, except when under duress by the threat of direct military action. Having the "civilised" Eastern Roman Empire on its southern border was infinitely preferable to the Papacy than having to constantly deal with the troublesome Normans of Sicily. It was in Pope Hadrian IV's interests to reach a deal if at all possible, since doing so would greatly increase his own influence over the entire Orthodox Christian population. Negotatiations were hurriedly carried out, and an alliance was formed between Manuel and Adrian. The future looked bleak for the Sicilians. It was at this point, just as the war seemed decided in Manuel's favour, that things started to go wrong. The Byzantine commander Michael Palaeologus had alienated Byzantium's allies by his arrogance, and this had stalled the campaign as Count Robert refused to speak to him. Although the two were reconciled, the campaign had lost some of its momentum. Yet worse was to come: Michael was soon recalled to Constantinople. Although his arrogance had slowed the campaign, he was a brilliant general in the field, and his loss was a major blow to the campaign. The turning point was the Battle for Brindisi, where the Sicilians launched a major counter attack by both land and sea. At the approach of the enemy, the mercenaries that had been hired with Manuel's gold demanded impossible rises in their pay. When this was refused, they deserted. Even the local barons started to melt away, and soon John Ducas was left hopelessly outnumbered. The naval battle was decided in the Sicilians' favour, and John was captured. The defeat at Brindisi put an end to the restored Byzantine reign in Italy, and by 1158 the Byzantine army had left Italy. Hopes for a lasting alliance with the Pope had also come up against insuperable problems. 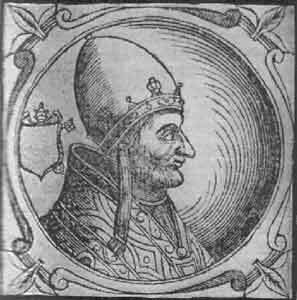 Pope Hadrian IV's conditions for a union between the eastern and western church included recognition of his religious authority over all Chrisitans everywhere; the Emperor's, recognition of his secular authority. Neither East nor West could accept such conditions; even if a pro-western Emperor such as Manuel agreed to it, the Greek citizens of the Empire would have rejected outright any union of this sort, as they did about two hundred years later when the Orthodox and Catholic churches were briefly united under the Pope. In spite of his friendliness towards the Roman church Manuel was never honoured with the title of "Augustus" by Hadrian. Ultimately, a deal proved elusive, and the two churches have remained divided ever since. He forced the rebellious Serbs to vassalage (1150-1152) and made repeated attacks upon the Hungarians with a view to annexing their territory along the Sava. In the wars of 1151-1153 and 1163-1168 Manuel led his troops into Hungary and a spectacular raid deep into enemy territory yielded substantial war booty. In 1168, a decisive victory near Zemun enabled him to conclude a peace by which Dalmatia and other frontier territories were ceded to him. Efforts were made for diplomatic annex. The Hungarian heir Béla was sent to Constantinople to be educated in the court of Manuel, who intended the youth to marry his daughter, Maria, and to make him his heir, thus securing the union of Hungary with the Empire. In the court Bela assumed the name Alexius and received the title of Despot which had previously been applied only to the Emperor himself. However, when a son was born to the emperor this engagement was broken. Nevertheless, overall Manuel achieved considerable success in the Balkans, reducing Hungary to client status and even appointing his own choice, Béla III, as king of Hungary in 1172. He extended the frontiers of the Empire in this region, ensuring security for the whole of Greece and Bulgaria. This allowed the Western provinces to flourish in an economic revival which had begun in the time of his grandfather Alexius I, and which continued till the close of the century. Indeed it has been argued that Byzantium in the twelfth century was richer and more prosperous than at any time since the Persian invasion during the reign of Heraclius, some five hundred years earlier. There is good evidence from this period of new construction, and new churches even in remote areas strongly suggest that wealth was widespread. Although it is true that by the late ninth century the cities of the empire had begun to recover from the cataclysmic wars and dislocations of the Arab and Slavic invasions of Late Antiquity, progress had been interrupted by the Battle of Manzikert and the civil wars that preceded the accession of Alexius I. It is only the success of the Comneni that prevented the complete collapse of the empire, and it was this success that allowed urban development to resume. The population of Constantinople was approaching half a million during Manuel's reign, making it by far the largest city in Europe. Furthermore, the Byzantine capital was a city undergoing expansion. The cosmopolitan character of Constantinople was being reinforced by the arrival of Italian merchants and Crusaders en route to the Holy Land. The Venetians and others opened up the ports of the Aegean to commerce, shipping goods from the Crusader kingdoms of Outremer and Fatimid Egypt to the west and trading with Byzantium via Constantinople. These maritime traders stimulated demand in the towns and cities of Greece, Macedonia and the Greek Islands, generating new sources of wealth in a predominantly agrarian economy. Thessaloniki, the second city of the Empire, hosted a famous summer fair which attracted traders from across the Balkans and even further afield to its bustling market stalls. In Corinth, silk production fuelled a thriving economy. All this is a testament to the success of the Comneni Emperors in securing a 'Pax Byzantina' in these heartland territories. Control of Egypt was a decades-old dream of the crusader Kingdom of Jerusalem. Only a Byzantine alliance could accomplish this goal, however, and in the 1160s both Manuel and King Amalric I of Jerusalem married Crusader and Byzantine princesses respectively: Manuel married Amalric's cousin Maria of Antioch in 1162, while Amalric married Manuel's grand-niece Maria Comnena in 1167. In 1168 a formal alliance was negotiated, and in 1169 he sent a joint expedition with King Amalric I of Jerusalem to Egypt. The expedition was a dramatic demonstration of the power of the Empire, involving a large fleet (of over 200 ships, including many large war vessels equipped with siege weapons and Greek fire) and army which represented a substantial investment of resources by the Byzantines. 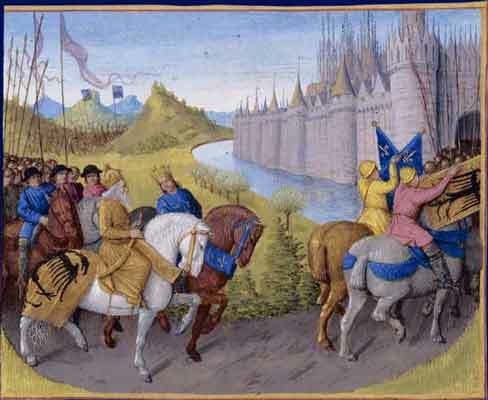 Crusade historian William of Tyre, who negotiated the alliance, was impressed in particular by the large transport ships which were used to transport the cavalry forces of the army. Overall, accounts of the reign of Manuel Comnenus have tended to pay only limited attention to the expedition against Egypt, due to the failure of the project and the importance of other issues such as the rise of the Republic of Venice and the Seljuk Turks. However, the consequences of failure were serious. Manuel invested a lot of time, money and manpower in the attack on Egypt, resources which might have been better used against the Turks in Anatolia. Seljuk Sultan Kilij Arslan II used this time to eliminate his rivals and build up his power in Asia Minor. The balance of power in the eastern Mediterranean was changing, and the effects failure in Egypt would still be felt long after Manuel's death. The rise of a young Kurdish general, Saladin, was only made possible by his successful conquest of Egypt in the same year, 1169; and Saladin's armies would soon reconquer Jerusalem from the Crusaders, thus triggering the Third Crusade. Map of the Byzantine Empire around year 1180. Manuel had made an agreement with the Seljuks, following his victory over them in 1162, that certain frontier regions, including the city of Sivas, should be handed over to him in return for some quantity of cash. However, when it became clear that the Seljuks had no intention of honouring their side of the bargain, Manuel decided that it was time to deal with the Turks once and for all. Therefore, he assembled the full imperial army, and marched against the Seljuk capital, Iconium (Konya). Yet the imperial army was large and unwieldy - according to a letter which Manuel sent to King Henry II of England, the advancing column was ten miles long. Furthermore, Manuel had become impetuous, and it seems this may have had an effect on his judgement: just outside the entrance to the pass at Myriokephalon, he was met by Turkish ambassadors, who offered peace on generous terms. Most of Manuel's generals and experienced courtiers urged him to accept the offer. However, the younger and more aggressive members of the court urged Manuel to attack. Foolishly, he took their advice and continued his advance. Unfortunately, Manuel made serious tactical errors, such as failing to properly scout out the route ahead. These failings caused him to lead his forces straight into a classic ambush. On September 17, 1176 Manuel's army was decisively defeated by Kilij Arslan II at the Battle of Myriokephalon, in which his army was ambushed while marching through the narrow mountain pass. The army's siege equipment was quickly destroyed, and Manuel was forced to withdraw - without siege engines, the conquest of Konya was impossible. The terms by which Seljuk Sultan Kilij Arslan II allowed Manuel and his army to leave were that he should remove his forts and armies on the frontier at Dorylaeum and Siblia. However since the Sultan had already failed to keep his side of the earlier treaty of 1162, Manuel had no intention of keeping to the terms of this new arangement. Nevertheless, defeat at Myriokephalon was an embarrassment for both Manuel personally and also for his empire. The Comnenian emperors had worked hard since the battle of Manzikert, one hundred and five years earlier, to restore the reputation of the empire. Yet because of his over-confidence, Manuel had demonstrated to the whole world that Byzantium still could not defeat the Seljuks, despite the advances made during the past century. However, the battle did have a serious effect upon Manuel's vitality; henceforth he declined in health and in 1180 succumbed to a slow fever. Furthermore, like Manzikert, the balance between the two powers began to gradually shift - Manuel never again attacked the Turks and, after his death, they began to move further and further west, deeper into Byzantine territory. Less intensely pious than his father, John II Comnenus, Manuel had proven himself to be an energetic and bright Emperor who saw possibilities everywhere, and whose optimistic outlook had shaped his approach to foreign policy. However, in spite of his military prowess Manuel achieved but in a slight degree his object of restoring the Byzantine Empire. In fact he succeeded in unifying many of his neighbours in common hatred as enemies, rather than playing one foe against the other. Had he concentrated more on the situation in Anatolia, Manuel might have succeeded in his father's aim of driving the Turks out of this crucial region. Instead he allowed his attention to be taken up by risky adventures in Italy and Egypt that ultimately brought little solid gain to his empire. His victories were counterbalanced by defeats, some of them costly not just in terms of lost opportunities, but also in terms of the expense to the Imperial Treasury. The Byzantine historian, Nicetas Choniates, criticized Manuel for raising taxes: the money thus raised was spent lavishly at the cost of his citizens. The expenses incurred by his expansive foreign policy and generous attitude to money combined with the sumptuous magnificence of his court put a severe strain upon the financial resources of the state. The problems this created were counterbalanced to some extent by his successes, particularly in the Balkans, but in view of the subsequent rapid collapse of the Byzantine Empire, it might have been better to deploy the available resources more carefully, either by building up a strong treasury or by concentrating on less risky ventures. His pro-western policy caused much resentment in the Empire and backfired in the reaction led by Andronicus I Comnenus whose arrival was celebrated by a massacre of the Latins in Constantinople in 1182. These events among others ultimately led to the capturing of the Empire in the Fourth Crusade. Retrospectively, some commentators have criticized some of Manuel's aims as unrealistic, in particular citing the expeditions he sent to Egypt as proof of dreams of grandeur on an unattainable scale. Yet for Manuel, such initiatives had merely been ambitious attempts to take advantage of the circumstances that had presented themselves to him. Manuel would be remembered in France, Italy and the Crusader states as the most powerful sovereign in the world. A telling reminder of the influence that Manuel held in the Crusader states in particular can still be seen in the church of the Holy Nativity in Bethlehem. In the 1160s the nave was redecorated with mosaics showing the councils of the church. Manuel was one of the patrons of the work. On the south wall, an inscription in Greek reads: "the present work was finished by Ephraim the monk, painter and mosaicist, in the reign of the great emperor Manuel Porphyrogenitos Comnenus and in the time of the great king of Jerusalem, Amalric." That Manuel's name was placed first was a symbolic, public recognition of Manuel's overlordship as leader of the Christian world. Manuel's role as protector of the Orthodox Christians and Christian holy places in general is also evident in his successful attempts to secure rights over the Holy Land. Manuel participated in the building and decorating of many of the basilicas and Greek monasteries in the Holy Land, including the church of the Holy Sepulchre in Jerusalem, where thanks to his efforts the Byzantine clergy were allowed to perform the Greek liturgy each day. All this reinforced his position as overlord of the Crusader states, with his hegemony over Antioch and Jerusalem secured by agreement with Raynald, Prince of Antioch, and Amalric, King of Jerusalem respectively. This, along with his success in the Balkans, must be regarded as one of the greatest achievements of Manuel Comnenus's reign. During his 37 years as emperor, Manuel consistently defeated all attempts by outside powers to attack his Empire: however, in the east, his gains were compromised by the defeat at Myriokephalon in 1176. At his death, the empire was a great power, economically prosperous, secure on its frontiers, but also there were serious problems. Internally, the Byzantine court required a strong leader to hold it together, and after Manuel's death stability was seriously endangered from within. Some of the foreign enemies of the Empire were lurking on the flanks, waiting for a chance to attack, in particular the Turks in Anatolia, whom Manuel had ultimately failed to defeat, and the Normans in Sicily, who had already tried but failed to invade the Empire on several occasions. Even the Venetians, the single most important western ally of Byzantium, were on bad terms with the empire at Manuel's death in 1180. Given this situation, it would have taken a strong Emperor to secure the Empire against the foreign threats it now faced, and to rebuild the depleted Imperial Treasury. Unfortunately for Byzantium, such a man was not forthcoming. Maria Comnena (1152-1182), wife of Renier of Montferrat. Manuel's second marriage was to Maria (renamed Xena upon their marriage), a daughter of Raymond and Constance of Antioch, in 1161. 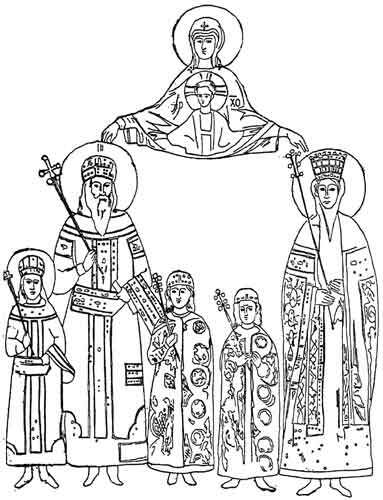 His successor, Alexius II Comnenus, was their son. Manuel Comenus and his family from a contemporary MS.
Angold, Michael (1997). The Byzantine Empire, 1025-1204, Longman. ISBN 0582294681. Norwich, John Julius (1998). A Short History of Byzantium, Penguin. ISBN 0140259600. Harris, Jonathon (2003). Byzantium and the Crusades, Hambledon and London. ISBN 1852852984. Ralph-Johannes Lilie, Byzantium and the Crusader States, 1096–1204. Trans. J.C. Morris and J.C. Ridings. Clarendon Press, 1993. Haldon, John (2002). Byzantium - A History, Tempus. ISBN 0752423436. Harry J. Magoulias (transl. ), O City of Byzantium, Annals of Niketas Choniates. Wayne State University Press, 1984. William of Tyre, A History of Deeds Done Beyond the Sea, trans. E. A. Babock and A. C. Krey. Columbia University Press, 1943.